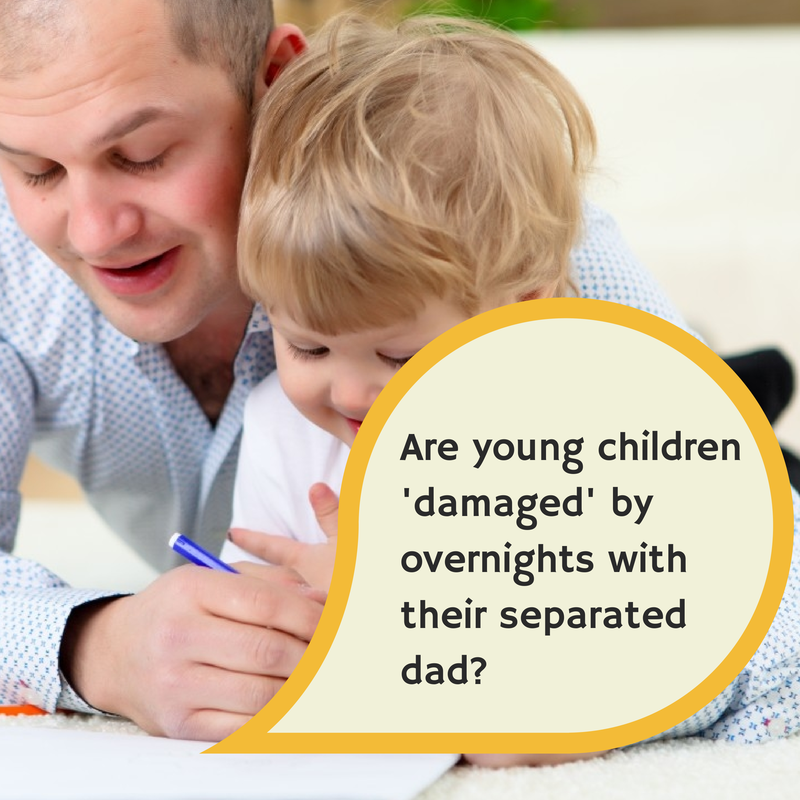 Are young children 'damaged' by overnights with their separated dad? Are young children ‘damaged’ by overnights with their separated dad? A brief guest post from Rosanne Cubitt, Head of Professional Practice at Relationships Scotland, offering her thoughts on the controversy surrounding Penelope Leach’s new book – ‘Family Breakdown’. A heated debate has been sparked by Penelope Leach’s new book, ‘Family Breakdown’. Let’s be very clear that at Relationships Scotland we disagree with a presumption that overnights with the other parent are harmful and stress the importance of making decisions based on the specific relationship between the child and their parent. Divorce and separation are, undoubtedly, challenging times for all and there are better and worse ways of parting. What is important is for parents to focus on what their children need – which is to know that they are loved by both of their parents, that they are not to blame for the split, and that their parents are working together to put them first. Mums and dads both need to move on from their adult partner relationship to establish a mutually supportive co-parenting relationship. There is a range of research evidence, with a variety of interpretations, but all families are different and one arrangement does not fit all. Overnights with their other parent may or may not be appropriate, depending on the situation. What we do know is that it helps for there to be less Conflict, better Communication and good Contact with both parents. Our mediators help families to work towards these three C’s of post-separation parenting that help mums, dads and children thrive.